What is Feed Product Type? Feed product type defines the type of your product within a category. There are often multiple product types defined within a category under Amazon feed specification. You need to select appropriate product type for your feed to be accepted by Amazon. If you look into the BTG file of Amazon template, the product type will be listed under the column “feed_product_type”. How to select feed product type? 1)Select appropriate Amazon category for your feed. 2)If the selected Amazon category does not require feed product type, then a drop-down for feed product type will not appear. 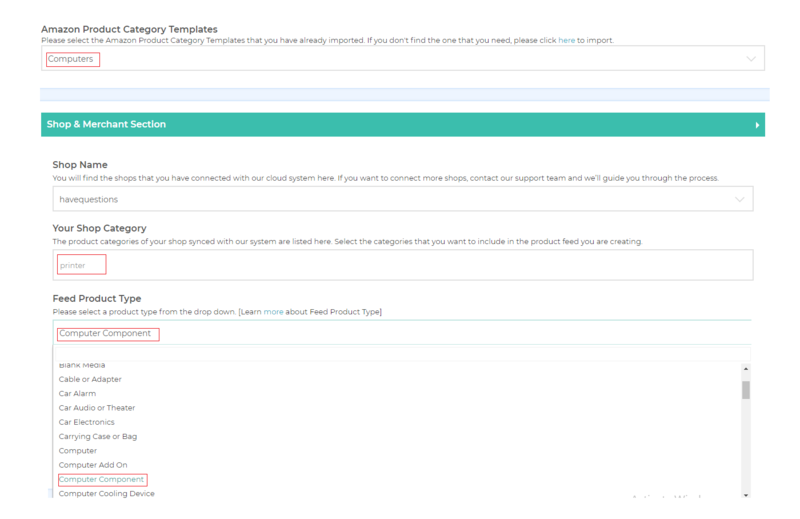 For example, as shown in the following screenshot, feed product type is not required for Beauty template. 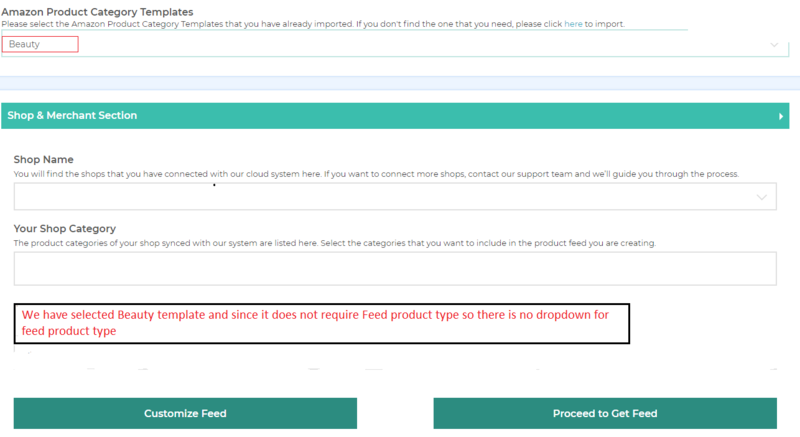 So, feed product type drop-down is not displayed, and you can proceed without it. 3)If the selected Amazon category requires feed product type, a drop-down will appear with valid options as shown in the following screenshot. Note: Amazon does not accept feeds without proper feed product type value. In the above screenshot, the selected Amazon category is ‘Computers’. Since there are many product types under ‘Computers’ category, a drop-down is shown with appropriate options. As we are sending products of ‘printer’ category of our shop, the suitable feed product type is ‘Computer Component’.